An interesting case that was argued in front of the Texas Supreme Court on September 19 is one that businesses should watch with respect to what is considered defamatory when it comes to allegations of bad business practices, and what violates privacy and speech laws. The case involves the online forum Glassdoor, which hosts anonymous posts about job-related reviews. A previous court order mandated that the company reveal the identities of posts alleging bad business practices and labor violations made about one particular retailer so that attorneys for that retailer could investigate whether the posts are defamatory. Glassdoor is now appealing that order, arguing that it violates free speech rights. 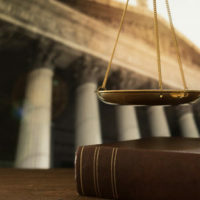 The order was made under Texas state procedural Rule 202, which states that a court can be petitioned for information allowing one party to investigate a potential claim. Glassdoor argued that the retailer was attempting to abuse the rule in an effort to limit free speech because they found that speech to be negative. This case marks the latest in a string of similar cases involving tech companies attempting to protect the anonymity of their users. Both other companies and law enforcement agencies have, at times, attempted to obtain information about anonymous users during investigations in recent years. Last year, a federal appeals court ordered Glassdoor to comply with grand jury subpoenas seeking to unmask the identities of several anonymous reviewers. Still, those who object to the claim that discovery in this case violates free speech rights argue that the case only has to do with statements involving “objectively verifiable fact” as opposed to hyperbole or opinions, which would remain protected. At Colvin, Saenz, Rodriguez & Kennamer L.L.P., we represent corporate clients in a broad range of commercial litigation and alleged business litigation, including libel and slander claims, as well as concerns that a company and its users’ constitutional rights have been violated. Contact our experienced corporate liability and commercial litigation attorneys today to find out more.